There was a time when setting up a website, knowing about the opportunities for affiliate marketing in the first place, knowing how to promote the site came with numerous barriers to entry. The benefit of that was that there wasn't nearly as much competition as there is today. Even these days, most random people don't really know what SEO is, but it's something you'll see mentioned in the news occasionally. More and more people know that you can make money online, which means that there is more competition, which means that you'll have to work even harder to stand out from the crowd. We're going to be going over a handful of different ways that you can do exactly that! If you're operating an affiliate website and are looking for ways to get more sites linking to you, to have your visitors coming back more and more often, and to have people trusting your recommendations a lot more, then let's get right into it. There are countless sites out there filled with generic "Best ___ of 2018" articles reviewing products on a very surface-level. If that's your type of site, what value are you really bringing to the table? You may have done the content yourself, or outsourced it to a writer, but let's be real - it's probabally not ground-breaking material, right? So, first things first, if you want to stand out from the crowd, you've got to do things a little differently. 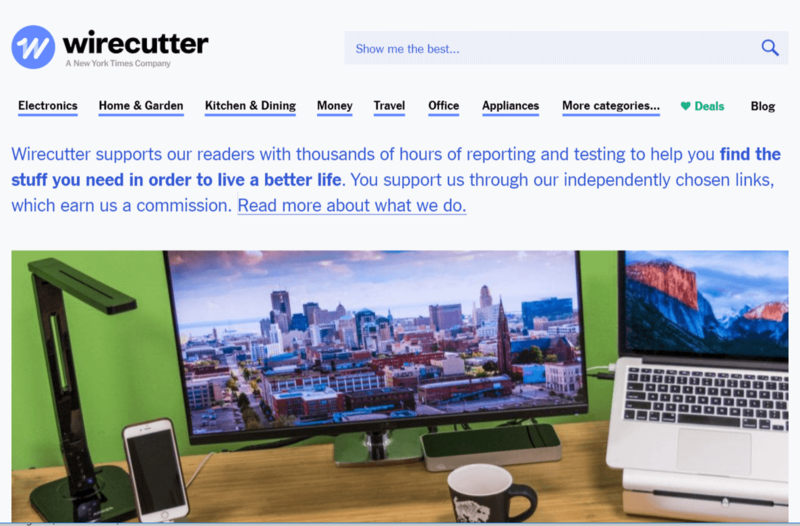 In the affiliate review space, the perfect example is The Wire Cutter, who do very in-depth reviews where they actually purchase, use, and display all of the products mentioned. This adds a huge layer of trust, and it makes their reviews authentic, when so many other reviews out there are just sales pitches disguised as reviews. By acting more authentic and less commercial, The Wire Cutter went on to be sold to The New York Times for a whopping $30,000,000 USD. If you want people to take your affiliate recommendations seriously, you've got to do more than just shill for products. If your initial reaction is to think that you need to hype up every product in order to sell it, you don't. If someone is looking for a blender, and you review 5 of them, and they all have perfect scores, that's not believable. If some of them score higher than others, sure the low-scoring ones might not sell as well, but the highly rated ones will, plus people will trust your recommendations and be satisfied with their purchased. Another way to stand out is by offering extra tools and utilities relating to your niche. 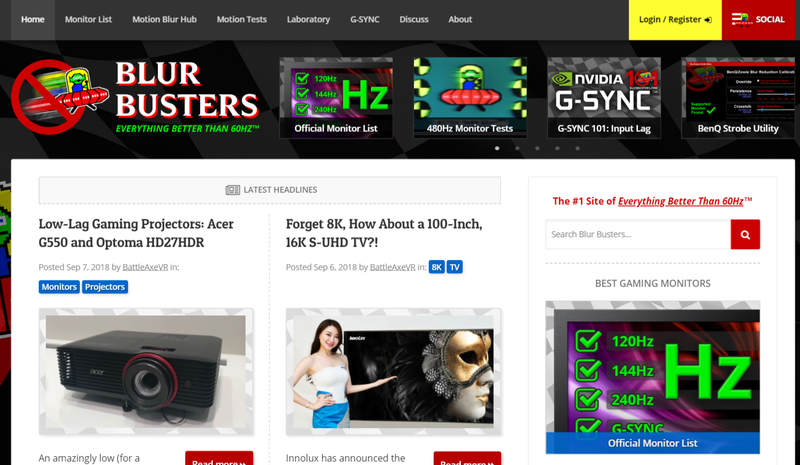 A perfect example of this is the site BlurBusters.com, a website dedicated to computer monitors with high refresh rates. They list (with affiliate links) all of the monitors that meet the criteria. They also have animations that show the different between lower and higher refresh rates which are a useful tool for people who are shopping for monitors, and also highlights how much better a higher refresh rate is at reducing blue. So, they help people, and show off how good the stuff they promote is and why it's so necessary, all in one. It's also a very nicely designed site, it looks far better than the typical affiliate site you see with a generic style. The Wire Cutter and BlurBusters are just two example of affiliate sites that go above and beyond. Take a look around your niche and look at the very best things that your competitors are doing, make a list at what really stands out, and take an honest account of ways that you may be able to improve. Imagine if you took the time and effort to absorb the very best aspects of all of your competitors? 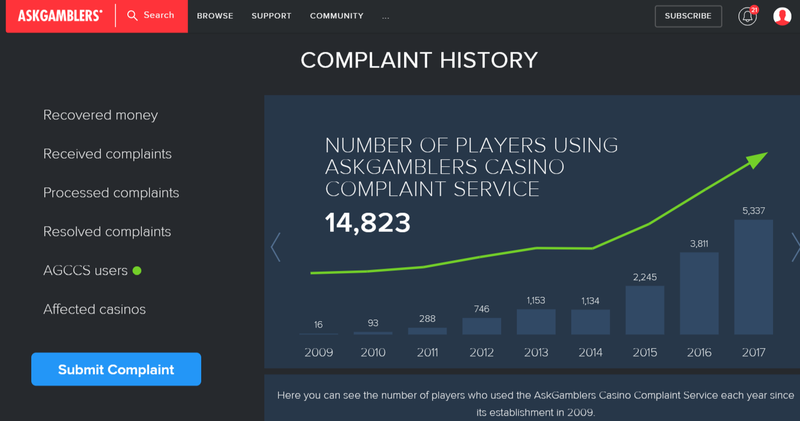 For example, AskGamblers, the leading online casino affiliate site, goes above and beyond by even helping players and casinos who are having disputes by acting as an independent third party. Your options will vary by niche, but a few ideas for useful tools are things like mortgage rate calculators or loan and debt calculators which are always popular on finance sites, but also very saturated and competitive. Is there some sort of useful calculator that could be handy in your niche, or any other type of utility, or app, or even visual diagrams that could be helpful? Get creative, and start creating massive value for your readers, and they'll follow you, they'll subscribe to your mailing list, they'll click your recommendations, and most importantly they'll come back when it’s time to make another important purchase and you'll earn another commission from them! Mary Ann Keeling is a freelance writer and business consultant who loves sharing her insights on the latest business opportunities. She also enjoys and takes pride in delivering leading social media campaigns.